As fast as Zynga has lost high-level employees, the FarmVille maker has been busy cultivating new ones to fill in the gaps. Today, AllThingsD has learned of another appointment: Zynga has promoted Tim LeTourneau to the position of Chief Creative Officer, replacing Mike Verdu, who left the company in August to start his own game company. Previously, LeTourneau was Zynga’s VP of games in charge of FarmVille 2, the company’s most successful game launch over the past few months. As part of his new role, he’ll be stepping away from the day-to-day job operations of FarmVille 2 to spend more time on game design across the board. LeTourneau will report to Steve Chiang, president of games, and Maureen Fan will become FarmVille 2’s new general manager. Zynga confirmed the two appointments took place earlier this month at a quarterly all-hands meeting. The company is essentially playing a game of musical chairs, plugging each hole with talent from another part of the company. At the same all-hands meeting, for instance, 680 people were recognized for taking on bigger roles within the roughly 3,000-employee organization. Additionally, David Ko and Barry Cottle were recently promoted to chief operations officer and chief revenue officer, respectively. They are filling vacancies created when other managers stepped down over the summer, including John Schappert and Jeff Karp. LeTourneau joined Zynga almost two years ago after working at Electronic Arts since 1990. 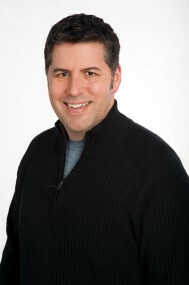 During his two decades at EA, he spent most of his time working on the longstanding and popular Sims franchise.